The SMT-i5210S IP telephone supports the full feature set OfficeServ7000 and added UC (Unified Communication) integration in a modern stylish & ergonomic design. 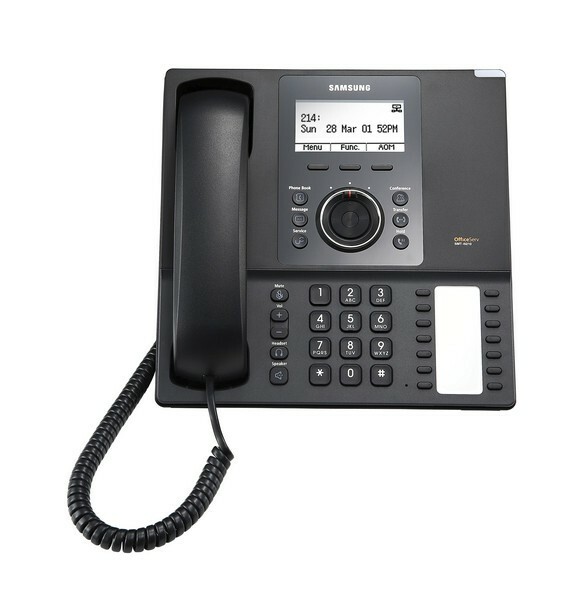 This includes an LCD screen, 14 programmable keys and direct access to voice mail, call logs and system directory are just a few of the items accessible at the touch of a button giving you a clear window to your communications world. Flexible design allows the handset to be positioned at 30 degree and 60 degree on your desk or if required wall mounted without requiring any further hardware or adaptors. Intelligent VPN software allows non-technical users to connect remotely over the internet without any extra hardware, with your calls secured using SRTP encryptions.